I almost always write in my office because it’s set up for me. It’s an actual office, complete with large bookshelves crammed with research books, dictionaries, etc. I have everything in here I need, especially a very large computer monitor. Because I have vision problem, I’m unable to see things on a small screen. My desk is full-sized and I have a very comfortable chair. Writers need a comfortable computer chair. In fact, it’s crucial. The room is decorated with a lot of western things that project the right atmosphere. I have cowboys everywhere….for inspiration I tell people. *wink* But the fact is, I just love looking at these men. I have western art on the walls, flowers on the low bookshelves, a Buffalo Bill Wild West poster and a large map of 1837 Texas hanging nearby. You might like to know that on one corner of my desk sits a box of Kleenex. I keep tissues handy so I can reach for one when I need it. Often I get so immersed in an emotional scene that it makes me cry. They say if a writer can’t feel the story, it’s not strong enough. I believe that. When I write, I dig deep and what pours out of my heart moves me to tears. It might be something simple like the way a hero looks at his lady or maybe a tender touch or something the characters do that’s heroic. All I know is that I use a lot of Kleenex. Two big closets with sliding doors hide my supplies from view so I can keep the room uncluttered. I wouldn’t be able to fill one page if I had a mess around me. When I first moved into this house two years ago, I took one look at the office and remarked to my friends that I knew I could write here. I just felt it deep down in my soul. That held true. So far, I’ve written four 100k word books and over half of new one in here. I just love this room. When new people come over, I always show them my office because I spend more time in here than any other part of the house. I’m now celebrating the release of Book 3 of my Bachelors of Battle Creek series. FOREVER HIS TEXAS BRIDE has been such an incredible journey. I do think I saved the best for last. Brett Liberty has such a special story to tell. Because he’s a half-breed and faced such hate and discrimination, he’s kept apart from people. He mostly stays on his Wild Horse Ranch with his beloved mustangs. He’s never allowed himself to think about a wife…until he meets Rayna Harper in a dingy jail in a small town in Texas. She occupies the cell next to him and he’s struck by the depth of her heart and her curly auburn hair. Clearly, she’s suffered much pain and misery. While Brett’s waiting to be hung for being an Indian, he falls in love for the first time in his life. I hope you find FOREVER HIS TEXAS BRIDE as exciting as I did. Look for the first of my brand new Men of Legend series coming in July. 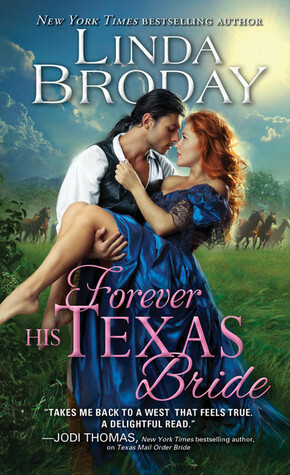 Sourcebooks is giving away a copy of Forever His Texas Bride to one reader today! (US Only Please.) To enter, just leave a comment for Linda on this post and then fill out the rafflecopter below. Good luck! Hi Jodi, thank you so much for coming. I'm glad I can share my new release with you. I do think you'll like it. The message in the story of tolerance and acceptance is as pertinent today as it was back in 1879. Congrats on the new release. This book sounds fantastic. Can't wait to read it. Any idea how many books will be in the series? Hi Joanne B......I'm so glad you stopped by. Thank you for coming. There are three books in this series and the first two are already out. Texas Mail Order Bride released in January. Twice a Texas Bride came out in May. Forever His Texas Bride is the third and final one. The series is about three men who came together as boys in an abusive orphanage and one night by the light of the moon, pricked their fingers and declared themselves brothers. They share an unbreakable bond and stand shoulder to shoulder to fight against those who seek to destroy them. I do hope you give the series a try. Thanks again for coming. Hi Sweet Pea.......Thank you for your comment. I'll keep my fingers crossed for you. Maybe you'll be lucky and win the book. looks and sounds fantastic :) thans for sharing! Thanks for the glance into your writing world, Linda! 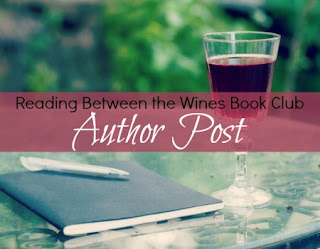 The author's writing room sounds wonderful! Perfect for western inspiration.